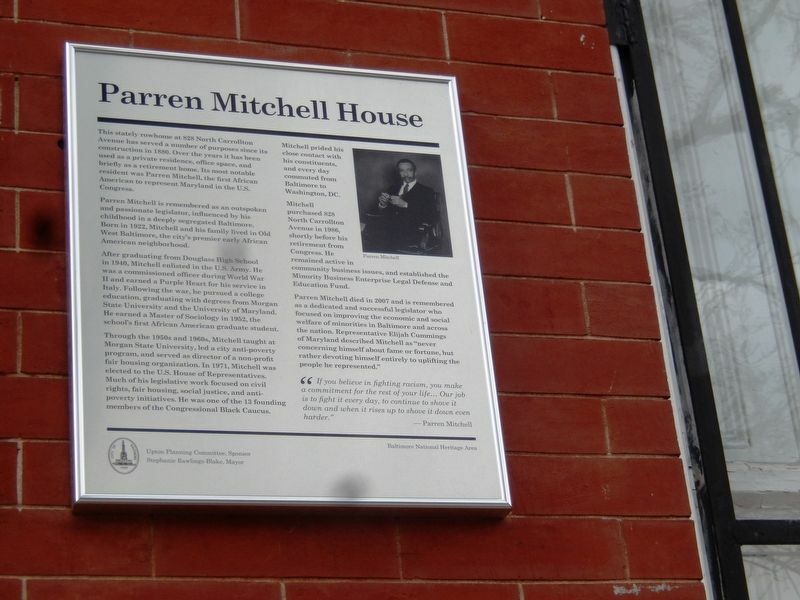 Parren Mitchell House. —. This stately rowhome at 828 North Carrollton Avenue has served a number of purposes since its construction in 1880. Over the years it has been used as a private residence, office space, and briefly as a retirement home. Its most notable resident was Parren Mitchell, the first African American to represent Maryland in the U.S. Congress. Parren Mitchell is remembered as an outspoken and passionate legislator, influenced by his childhood in a deeply segregated Baltimore. Born in 1922, Mitchell and his family lived in Old West Baltimore, the city’s premier early African American neighborhood. After graduating from Douglass High School in 1940, Mitchell enlisted in the U.S. Army. He was a commissioned officer during World War II and earned a Purple Heart for his service in Italy. Following the war, he pursued a college education, graduating with degrees from Morgan State University and the University of Maryland. He earned a Master of Sociology in 1952, the school’s first African American graduate student. 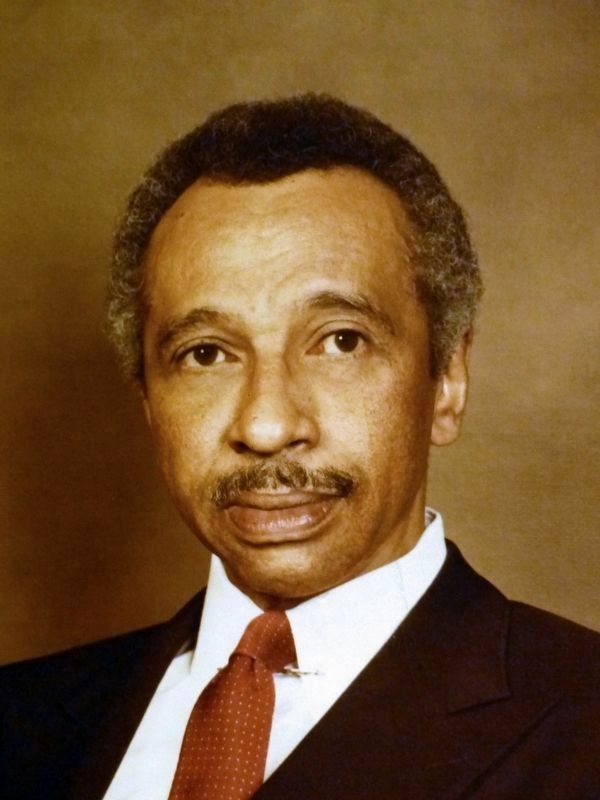 Through the 1950’s and 1960s, Mitchell taught at Morgan State University, led a city anti-poverty program, and served as director of a non-profit fair housing organization. In 1971, Mitchell was elected to the U.S. House of Representatives. Much of his legislative work focused on civil rights, fair housing, social justice, and anti-poverty initiatives. He was one of the 13 founding members of the Congressional Black Caucus. Mitchell prided his close contact with his constituents, and every day commuted from Baltimore to Washington, DC. Mitchell purchased 828 North Carrollton Avenue in 1986, shortly before his retirement from Congress. He remained active in community business issues, and established the Minority Business Enterprise Legal Defense and Education Fund. 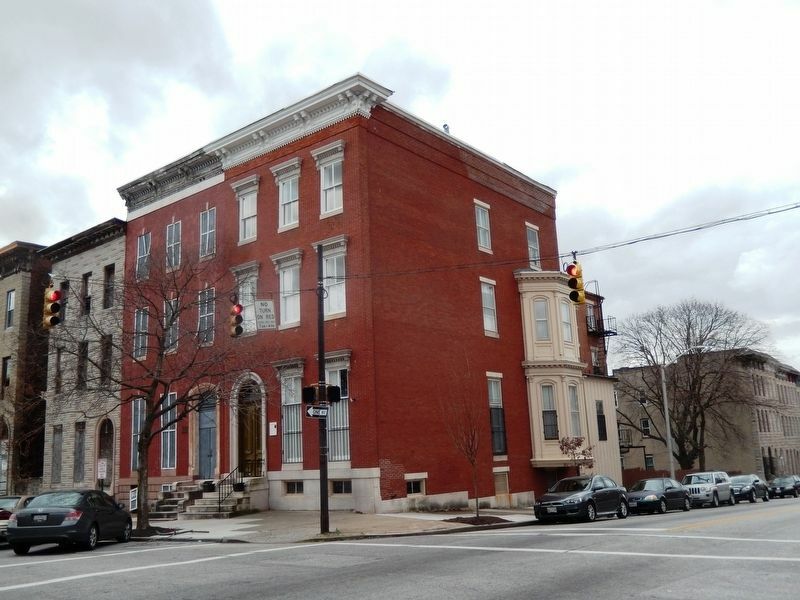 This stately rowhome at 828 North Carrollton Avenue has served a number of purposes since its construction in 1880. Over the years it has been used as a private residence, office space, and briefly as a retirement home. Its most notable resident was Parren Mitchell, the first African American to represent Maryland in the U.S. Congress. of a non-profit fair housing organization. In 1971, Mitchell was elected to the U.S. House of Representatives. Much of his legislative work focused on civil rights, fair housing, social justice, and anti-poverty initiatives. He was one of the 13 founding members of the Congressional Black Caucus. Location. 39° 17.938′ N, 76° 38.246′ W. Marker is in Baltimore, Maryland. Marker is on North Carrollton Avenue. Touch for map. 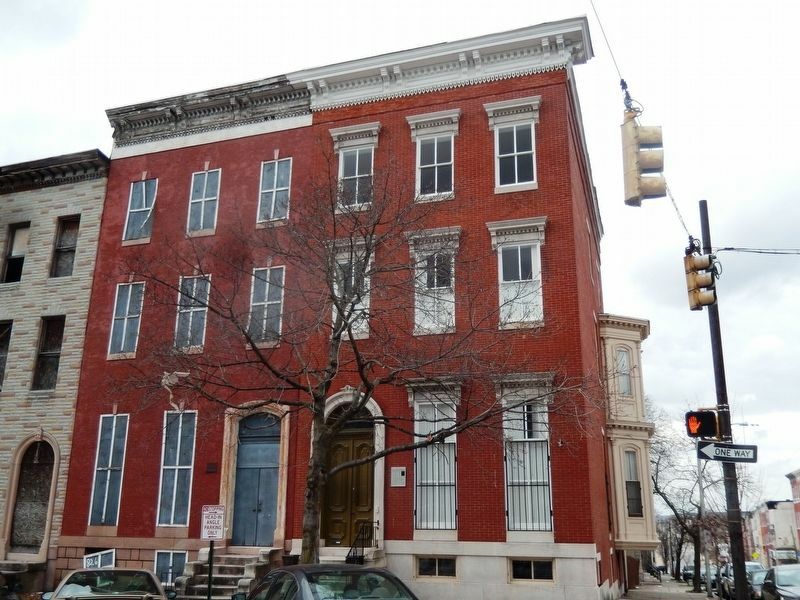 Marker is at or near this postal address: 828 North Carrollton Avenue, Baltimore MD 21217, United States of America. Touch for directions. Other nearby markers. At least 8 other markers are within walking distance of this marker. Billie Holiday Monument. (approx. 0.3 miles away); Buy Where You Can Work Campaign & Higher Education (approx. 0.3 miles away); The Street of Royalty (approx. 0.4 miles away); Diversity in a Segregated Community (approx. 0.4 miles away); Nurturing the Arts (approx. 0.4 miles away); Take a Stroll Down the Main Street of the African American Experience (approx. 0.4 miles away); Thurgood Marshall House (approx. 0.4 miles away); African American Politicians (approx. 0.4 miles away). Touch for a list and map of all markers in Baltimore. This 1981 photograph of Parren James Mitchell (detail) by Joseph D. Clapper hangs in the Reginald Lewis Museum in Baltimore, Maryland. “Parren James Mitchell (1922 - 2007) spent his entire adult life in service to his fellow citizens. Born in Baltimore, he was from a family of 'freedom fighters' - His older brother was Clarence Mitchell, Jr., a chief lobbyist for the NAACP during several landmark legislative efforts of the 1950s and 1960s. Parren Mitchell, himself, was a decorated veteran of World War II, and a civil rights activist in Maryland during the 1940s, 50s, and 60s. He is best known for his service in the United States Congress, representing the 7th Congressional District for 16 years (1971-1987). This portrait hung in his office on Capitol Hill.” — Reginald Lewis Museum. More. Search the internet for Parren Mitchell House. Credits. This page was last revised on March 2, 2017. This page originally submitted on February 28, 2017, by Don Morfe of Baltimore, Maryland. This page has been viewed 163 times since then and 14 times this year. Photos: 1, 2, 3. submitted on February 28, 2017, by Don Morfe of Baltimore, Maryland. 4. submitted on March 2, 2017, by Allen C. Browne of Silver Spring, Maryland. • Bill Pfingsten was the editor who published this page.